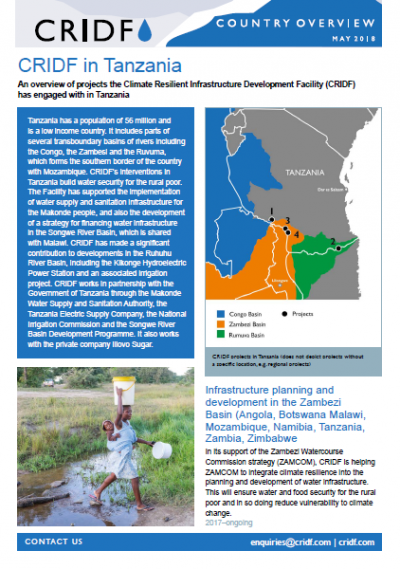 This brief gives an overview of projects CRIDF has engaged with in Tanzania, with particular focus on the impacts of the projects for basin communities. CRIDF works in partnership with the Government of Tanzania through the Makonde Water Supply and Sanitation Authority, the Tanzania Electric Supply Company, the National Irrigation Commission and the Songwe River Basin Development Programme. It also works with the private company Illovo Sugar.